Cricket Square announces the groundbreaking of its sixth phase of development including a 100,000 square foot office building, new food outlets, conference centre and fitness centre. The leading office park in the Cayman Islands capital, George Town and the single biggest dedicated corporate development in the Cayman Islands, Cricket Square originally launched in 1994. 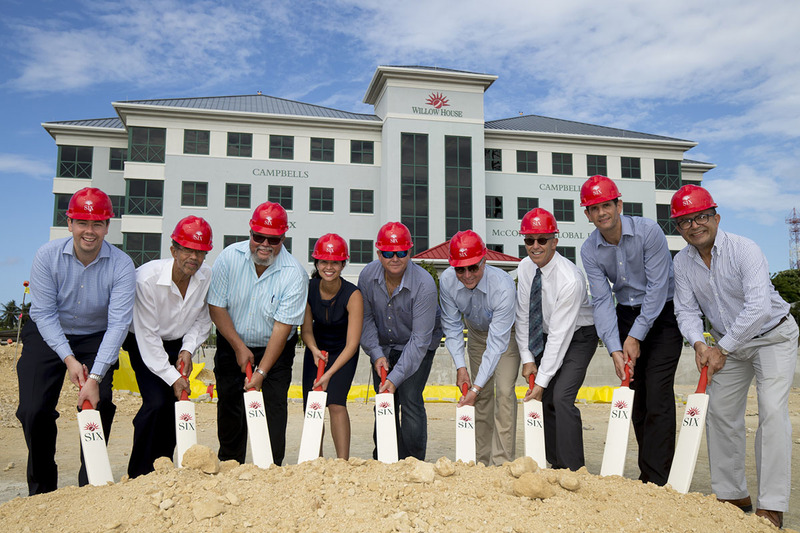 The groundbreaking of its sixth phase represents a further milestone not only for Cricket Square but also for the redevelopment of George Town’s central business district, especially the Shedden Road corridor. The centerpiece of this latest phase will be a new building, appropriately named ‘SIX’.